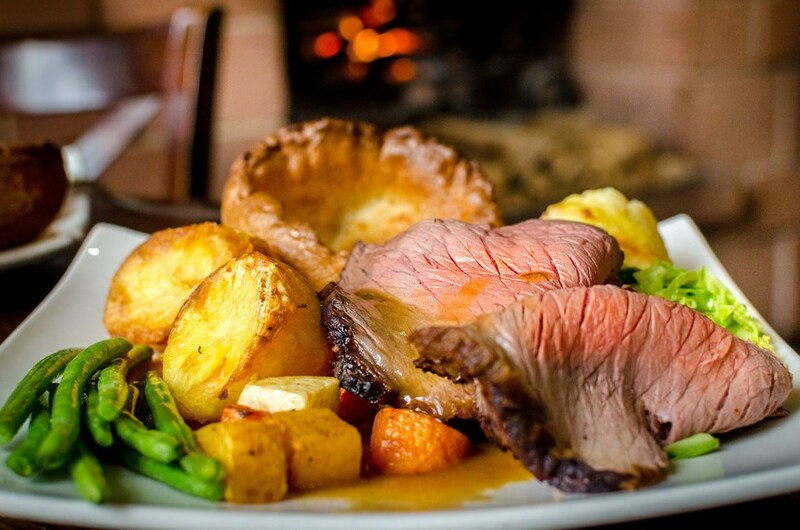 There is no better way to finish a long working week than enjoying a Sunday lunch Liverpool style! The comfort you get from crispy roast potatoes, perfectly cooked meat and lashings of gravy is hard to beat, especially with a hangover. But what if you want to avoid the hours of slaving over the hot stove, the unimaginable mess and mounds of washing up? You either ring your mum up and see if she’s got space around her table, or you head out into town in search of the best Yorkshire. 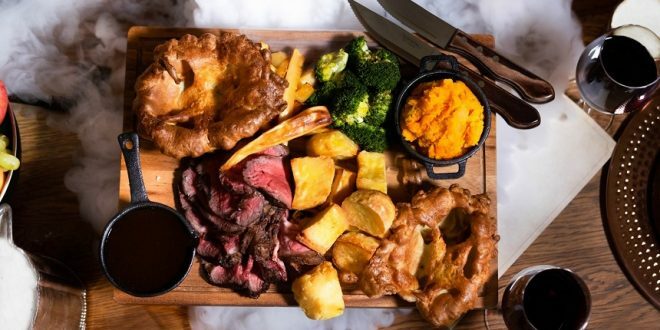 We know that nothing really compares to your mum’s roast, however we’ve found a fair few Liverpool eateries that are putting up a tough fight! 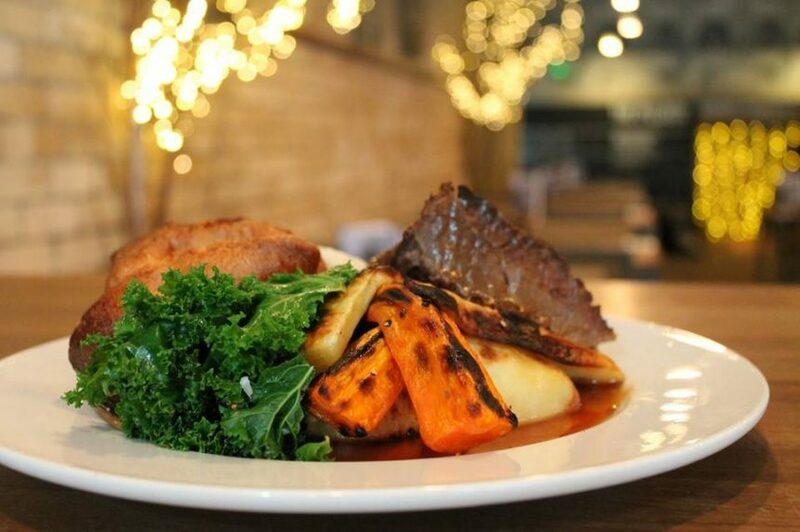 Read on to discover our pick of the 18 best Sunday roasts, both for meat-eaters and veggies, in Liverpool. Nestled amongst the hustle and bustle of Duke Street, The Monro is a unique Gastropub offering local fresh food for everyone. The quaint eatery has a reputation for serving the best Sunday Roast in the UK, making it certainly a good place to start. Lucky diners can enjoy a selection of roast beef, lamb shank, roast loin of pork or veggie nut roast for their main. Accompanied by real Yorkshire puddings, crispy roast potatoes, seasonal vegetables and rich roast gravy. With an impressive selection of traditional starters and delicious puddings, you get a proper pub feel from The Monro. 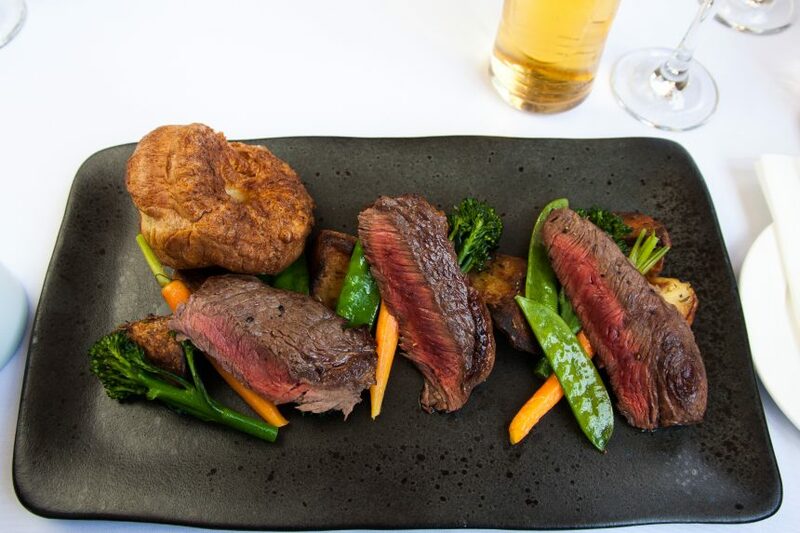 It’s the ideal setting to enjoy an unforgettable Sunday Lunch Liverpool style. If you’re searching for a relaxing venue to enjoy a hearty Sunday Lunch, look no further than The Buyers Club. A hidden gem located down a quiet backstreet off Hardman Street, this quirky restaurant offers up a fully-fledged feast with all the trimmings. 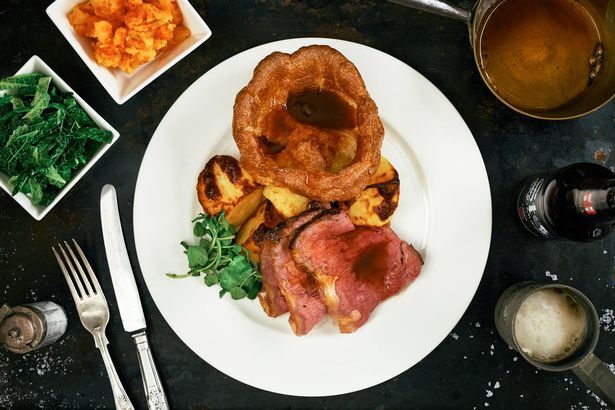 Their regular menu includes a bar and brunch menu, but the Sunday Roast special is something to behold. 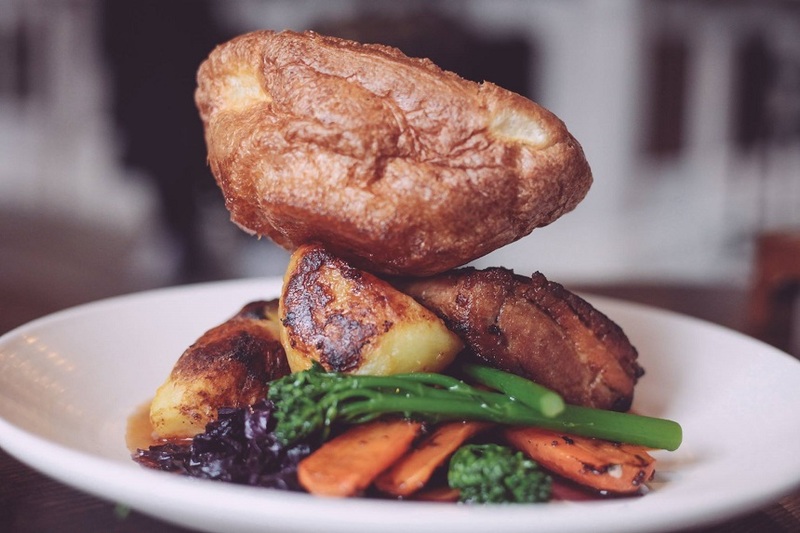 Served from 1-7pm, tuck into a classic Sunday Lunch complete with a choice of tender cooked meats, fluffy roasties, perfect Yorkshire puddings and seasonal veg. If the weather is good, why not take a seat outside in the courtyard and accompany your roast with a cooling pint or refreshing gin & tonic. Known mainly for their gastronomically delightful desserts, Barley and Beans are also a favourite among Liverpool diners when it comes to finding the perfect Sunday lunch too. 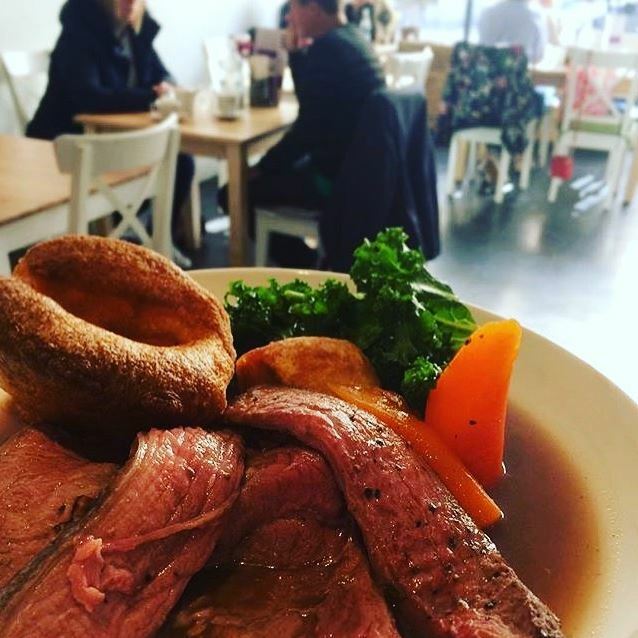 Their traditional Sunday roasts consist of roast beef rib and roast turkey with all the fantastic trimmings including goose fat roasties and pigs in blankets on the side. Once in a while, you’ll be lucky enough to sample their beautiful beef Wellington’s or taste the truly terrific Gressngham duck breast, saved only for special occasions. The Bastion Bar & Restaurant is a unique city centre restaurant that boasts an incredible Sunday Lunch. Set within the luxurious Shankly Hotel, whether you’re out for a special occasion, nursing a hangover or just on the hunt for a decent roast, then The Bastion is the place to be. 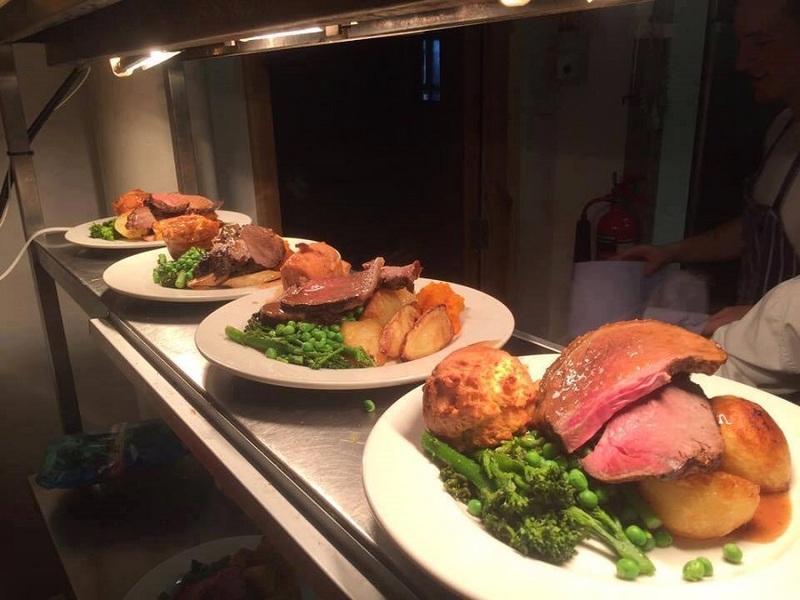 The classic Sunday Roast at The Bastion consists of roasted strip loin of beef with tenderstem broccoli, chantenay carrots, mange tout and rich beef gravy served with a plump Yorkshire pudding. You can also choose to have a roast chicken dish, pan seared salmon fillet or for the vegetarians, they offer a wild mushroom and truffle macaroni bake with a garlic ciabatta crumb and house salad. Whilst you tuck into your delicious Sunday Lunch, take the time to marvel at the fascinating Shankly memorabilia which is dotted around the restaurant. It’s the perfect setting for a hearty roast in Liverpool. If you’re on the look out for a sociable Sunday Lunch Liverpool venue, every week the Hanover Street Social host their Sunday Social. Diners can choose from three traditional roast combinations; roast topside of beef, marmalade & honey roasted gammon or pan roasted chicken supreme all of which come with classics trimmings such as Yorkshire puddings, roast potatoes, seasonal vegetables and rich homemade gravy. You can also order mouth-watering sides to accompany your Sunday feast such as savoy cabbage and bacon, creamy mash, onion rings and the all time classic, pigs in blankets. 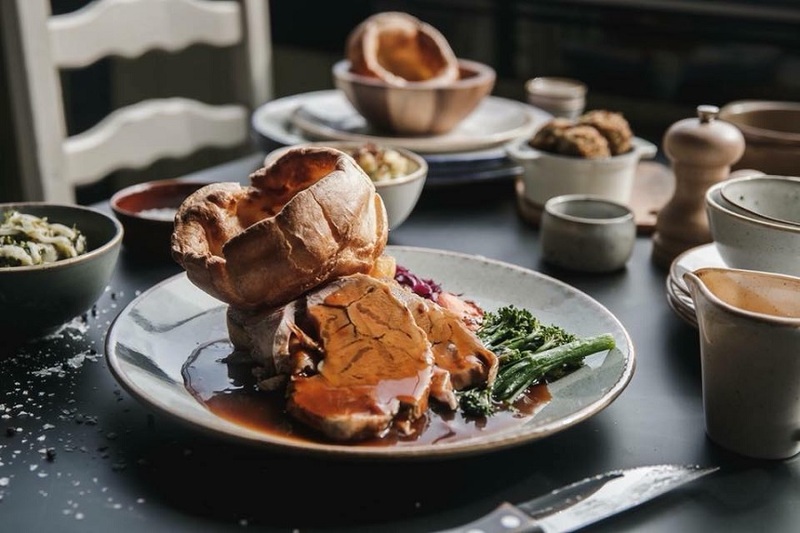 Sink into the comfy booth style seats and opt for a pint of the finest ale for a Sunday lunch in Liverpool that is sure to leave you feeling satisfied. Previously voted the second coolest restaurant in the UK by The Times, Sunday’s at Camp & Furnace are a must for an alternative roast experience. 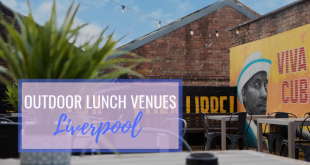 Set in the trendy Baltic Triangle area, this famous venue is home to some of the most exciting food & drink experiences in Liverpool, and their Sunday lunch is no different. We all know Sunday’s are all about relaxing with friends and family which is why Camp & Furnace offer a unique communal roast. Come together with those who matter to you most and enjoy an incredible classic Sunday lunch served along long trestle tables. Organic chickens, joints of sirloin, lamb and pork are brought out uncarved, ready to be shared by lucky diners around the table. Help yourself as endless roast potatoes, Yorkshire puds and seasonal veg fills the table. It’s the ultimate homely Sunday lunch Liverpool style. 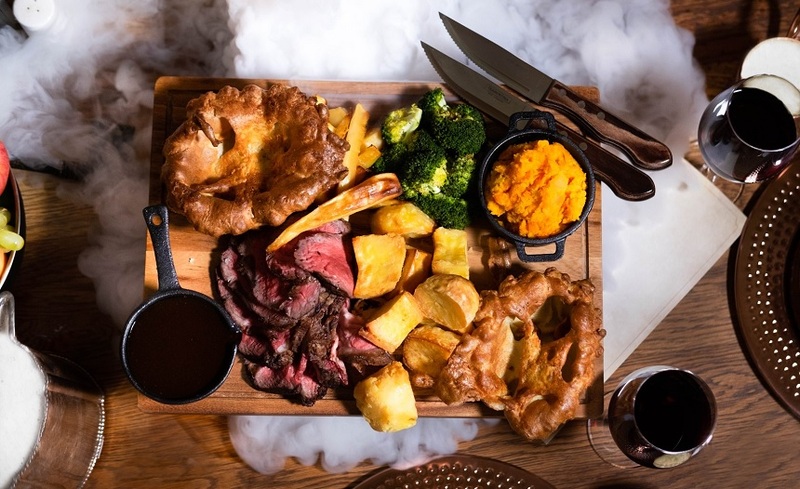 Set on the top floor of the stunning 30 James Street Hotel, Carpathia Restaurant and Bar offers one of the most well presented Sunday roasts in the city. 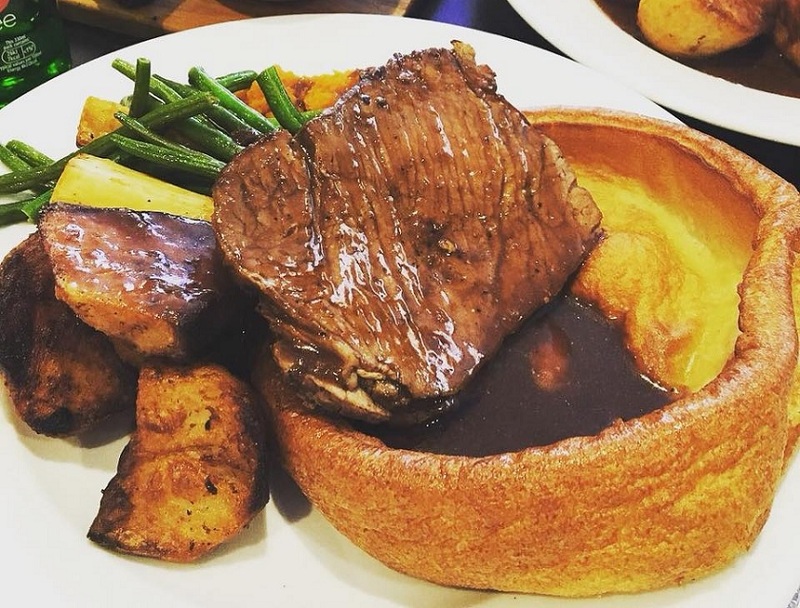 Choose from succulent roast beef cooked to your preferred taste and served with crispy roast potatoes, delicious seasonal vegetables, a large freshly made Yorkshire pudding and lashings of rich gravy. Or, why not try something a little different and go for the pan-fried fish dish accompanied by punchy capers and crunchy mange tout. Really make the most of your Sunday by ending your lunch with one of Carpathia’s decadent cheese boards or indulge in the sticky toffee pudding served with creamy ice cream and decorated with caramel. East Avenue Bakehouse is a kooky Bold Street eatery serving a selection of delicious homemade dishes in an unrivalled relaxed atmosphere. Every Sunday, this popular restaurant serves a traditional roast dinner using only the best local and seasonal produce from 12pm onwards. The Sunday roast is a classic with tender slices of meat, accompanied by all the trimmings and covered in lashings of gravy. As it is East Avenue Bakehouse, save some room for a freshly baked cake for dessert. However, on the last Sunday of the month, East Avenue Bakehouse showcase their spectacular Slow Food Sunday roasts from 6 ’till 8pm. Founded in Italy during the 1980s, the movement promotes local and ethically sourced produce, runs biodiversity projects to save endangered food and defends gastronomic traditions. In short, from planting to plate they can tell you the provenance of their ingredients. The kitchen creates a six-course blind taster menu and their sommelier carefully selects wines to pair with each course. 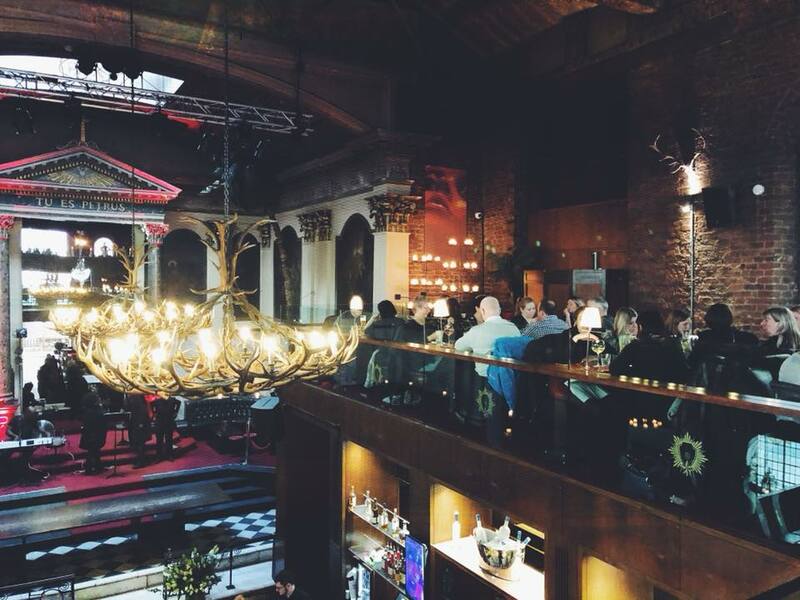 Head to church this Sunday for a delicious roast in a truly jaw-dropping and spectacular venue at Seel Street’s Alma de Cuba. Set within the former St Peter’s Church, this unique restaurant offers a traditional Sunday lunch menu with a South American and Caribbean twist. We know that traditional British roasts aren’t what you’d see on the streets of Cuba, but we’ll let that tiny detail slip. Instead, at Alma you’ll be treated to the ever popular Sunday Brunch experience. Tuck into a tasty roast with either roast rump of beef, roast chicken supreme, homemade nut roast, roasted butternut squash, pan roast rump of lamb or the market fish of day to the sound of a live gospel choir. Alma is undoubtedly the best Sunday lunch Liverpool has to offer. Nestled in the heart of Liverpool, just off Bold Street, The Egg Cafe is set in the light and airy loft space of an old Victorian warehouse building. Offering panoramic views of the city, this cosy café is one of Liverpool’s best vegetarian eateries with a relaxed and bohemian atmosphere. So, it should come as no surprise that this veggie café also does a splendid veggie Sunday roast dinner. 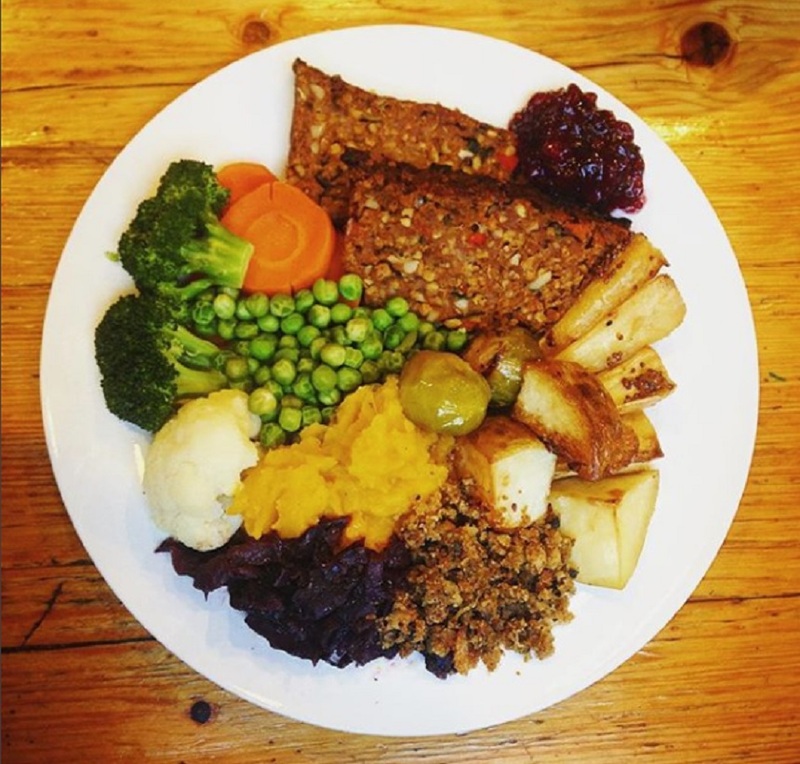 From stunning nut roasts, to seasonal veg, delicious stuffing and crisp roast potatoes, Egg Cafe welcomes crowds of vegetarians through the doors every weekend all looking to get stuck into their legendary Sunday roast dinners. Located on the picturesque Albert Dock, Smugglers Cove is a treasure trove of brilliant food, drink and atmosphere. If you’re searching for a Sunday lunch Liverpool venue with a view, Smugglers Cove is perfect. Sit waterside and choose from any type of meaty goodness, outdoor-reared slow roast pork belly, red tractor assured rotisserie chicken, rotisserie-roasted ridings reserve premium English beef, or roasted lamb. For the vegetarians, this restaurant offers a delicious mushroom, red lentil, stilton and chestnut roast. Your plate will then be piled high with braised, glazed and roasted extras and smothered in lashings of super smooth gravy, delicious. Next up on our guide to the very best places to enjoy a Sunday Lunch Liverpool style is Olive Bar and Restaurant. On Sundays, this popular eatery takes a break from creating their traditional Italian inspired delicacies to prepare a Sunday roast to rival even the best-home cooked wonders of your childhood. Pick from perfectly prepared pork, the best cuts of beef or half a chicken and enjoy the succulent meats with a healthy helping of the crispiest roast potatoes, tonnes of proper gravy, carrot and swede mash. Buttered shredded cabbage, perfectly roasted veg and a plate-sized Yorkshire. And if you decide to go for the pork, there’s even the chance to get your teeth stuck into some real pork crackling and to top it all off! Set on the ground floor of the quirky, 70s style Tempest Building on Tithebarn Street, HUS is a trendy and modern Scandinavian style bar, restaurant and events venue. On Sunday’s this cool eatery offers diners the traditional Sunday dinner with a stylish, Swedish twist. 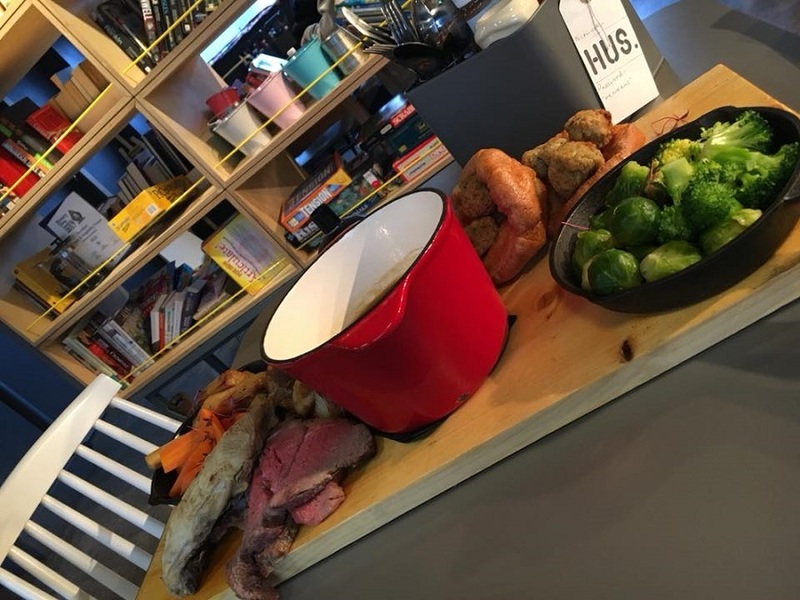 Inspired by sharing boards, grab a fork and get stuck into to HUS’s Sunday roast fondue. Stacked high with perfectly cooked meats, roast potatoes, the classic veg combinations and a helping of Brussels sprouts, this roast is unlike any other. Drown your meat and veg in a dunk-happy vat of thick, rich gravy. It’s incredibly messy but satisfying. With its warming and toasty hearth, twinkling interior fairy lights and delectable, home cooked style food, Frederiks’ tops the list of the cosiest eateries in Liverpool. Every Sunday, this pretty restaurant and bar serve tasty Sunday lunches feature all of the traditional classics. Enjoy succulent chicken breast with apricot and sage stuffing, or pork belly with homemade apple and maple sauce, 12-hour slow roasted beef brisket, salmon fillet with a crab and herb crust, or mushroom and spinach nut roast. Alongside these mouth-watering mains, you can enjoy homemade Yorkshires, duck fat potatoes, carrot and swede mash, buttered greens and bottomless gravy. The vegetarian dish is served with roasted new potatoes, creamed greens and vegetarian gravy. Head down to Constellations for their exciting new food concept Roasts & Records. Located in the buzzing Baltic Triangle area, this innovative idea allows you to shop from independent record labels and private sellers, enjoy some live music from DJs on the decks and tuck into a succulent roast at the same time! The lunch menu changes each time, so you’ll be in for a tasty surprise each time you go, but one thing we know is that it is utterly divine every time! A bi-monthly record market brought to you by Melodic Distraction, whether you are an avid crate digger or simply just a music lover, you’re sure to have a satisfying Sunday at Constellations. Another cool and quirky venue in the Baltic Triangle, Baltic Social is the ideal destination for meat-eaters, veggies and vegans alike. If you’re looking for a Sunday Lunch Liverpool with a difference, this eatery ticks all the boxes. Their veggie-friendly roast is made up of three fabulous courses, and often features delicious pies such as mushroom and brandy, squash, sage and Stilton, alongside a special vegan selection of jack fruit with mushroom, Dijon and vegan smoked cheese. Delicious, nutritious and something a little different from the usual nut-roast options. 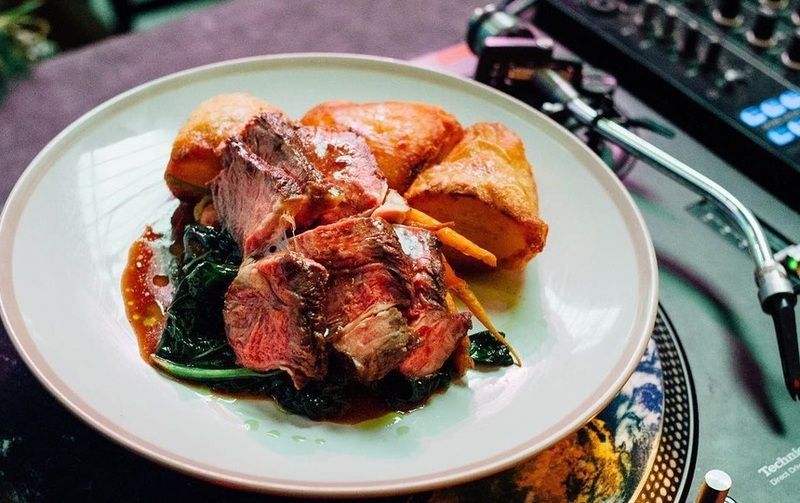 Next up in our top picks of the best places to enjoy a Sunday Lunch Liverpool style is a relatively new kid on the block. Proudly standing at the top of Hardman Street, The Florist prides itself on being a unique sensory experience offering a range of culinary delights and fragrant delicacies. 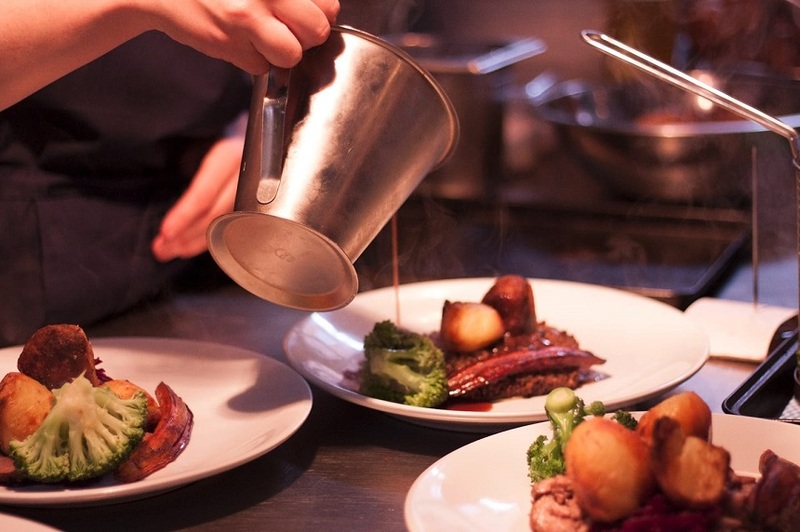 On Sundays, they serve a range of delicious dishes including slow roast belly pork, premium beef with homemade horseradish cream and a tasty chestnut roast with root vegetable gravy. Enjoy these beautiful dishes in the stunning surroundings of this botanical and heavenly setting, the perfect place to enjoy great food with loved ones. Last but certainly not least is the nations favourite pie restaurant, Pieminister. Located on the hustle and bustle of Bold Street, this popular venue also serves the ultimate roast dinner pie. 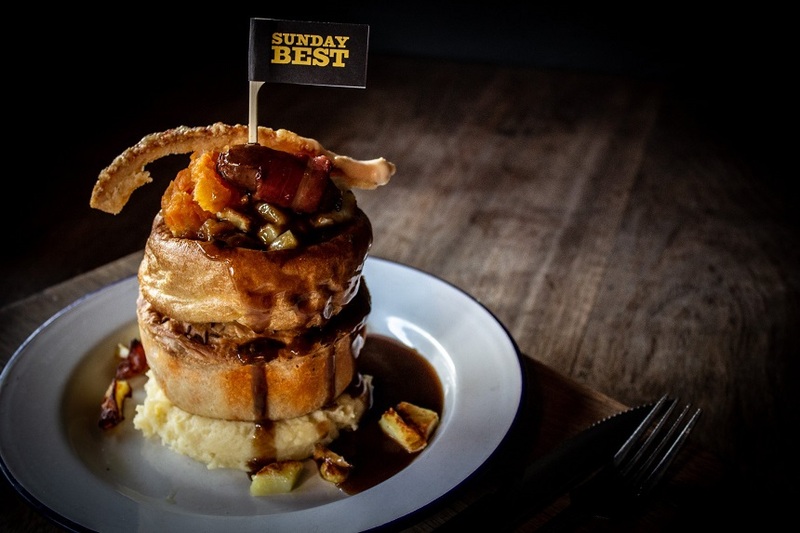 Yes you read that right, this delicious twist on a classic features creamy mash, a delicious meat pie with lashings of gravy, seasonal roast veg and is topped with a huge Yorkshire pudding and sprinkled with crackling and pigs in blankets. Enjoy this heart Sunday roast pie with a pint of their finest ale, or a warming glass of red, for the ultimate relaxing Sunday lunch Liverpool style. 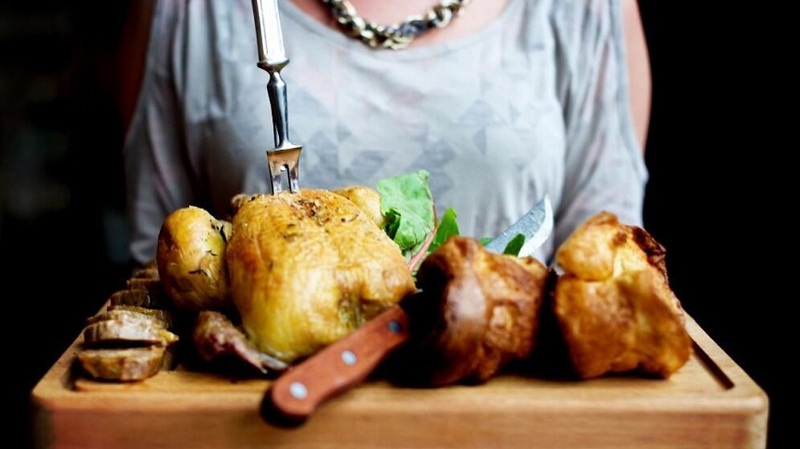 We hope you’ve enjoyed our guide to the best places to enjoy Sunday Lunch Liverpool style. If you’re looking for a new weekday work lunch option, check out our guide to the most delicious places to get a takeaway lunch in Liverpool. Less of a Sunday lunch fiend and more of a pizza lover? We’ve got you sorted with the best places to grab a pizza in the city. Look for some unusual places to visit on a Sunday? Why not hope on a Merseyrail train and see where it takes you with these fun and exciting ideas for spending days out on the railway.